With over 90% of the country now able to receive DAB digital radio and over 40 national stations to choose from in most of the country, DAB digital radios make perfect gifts. 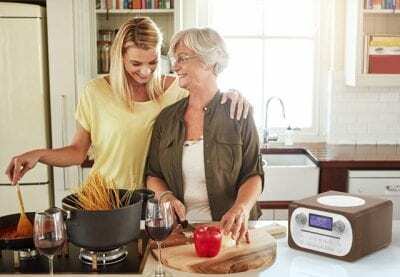 There are so many to choose from, to suit every taste and room in the home – such as a portable, kitchen, bedside or clock radios or integrated into a home audio system or hi-fi. Smart and voice-controlled speakers, such as Amazon Echo, Google Home and Sonos, also make fantastic presents and give access to a world of radio stations. As well as all of your mum’s favourite stations, there are hundreds of stations, right there, for her to discover. All she needs to do is ask! Does your mum like listening to radio in her car? Does she have a digital radio? If not, then how about giving her the joy of digital radio in her car? Then she can take all the stations she enjoys at home with her when she’s on the road. There are lots of digital radios and adapters available, including radios for under £100, plus fitting, which can be easily and neatly fitted to the dashboard and connects via the car's existing radio. Find out more here. Happy Mother’s Day to mums everywhere! 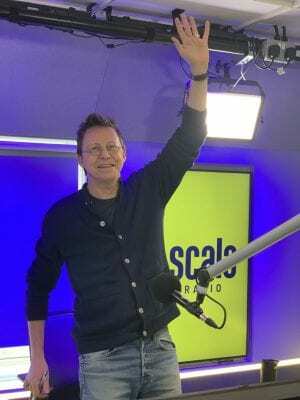 Brand-new classical music and entertainment radio station, Scala Radio, offering 'classical music for modern life', is now available on digital radio across the UK. Launching at 10am on Monday 4th March, Simon Mayo welcomed listeners with the words “Greetings music lovers” and the first musical pieces played included Bizet's Carmen and a string quartet interpretation of Daft Punk’s Get Lucky, giving listeners a taste of the range of music they can expect from the new station. Scala Radio anticipates an explosive growth in classical music and an ever growing cross-over into the mainstream, bringing together familiar masters along with fresh and exciting new classical pieces. The station promises to surprise and delight listeners with its accessible tone and unique format, along with conversation and features. The line up features Charles Nove at Breakfast, Simon Mayo on Mid-mornings, Sam Hughes on Afternoons, Mark Forrest on Drive and Jamie Crick on Sunday breakfast. Music innovators Goldie and William Orbit will also launch their own series - Goldie’s Classic Life and William Orbit in The Space. Angellica Bell will lead the weekend, while Mark Kermode will bring alive his love of film scores, and Chris Rogers and Anthea Turner will host a live Sunday brunch show with guests. Also joining the line-up are comedian and trombonist, Faye Treacy (Saturday and Sunday 6-8pm), and Edinburgh-based composer, arranger and sound artist, Luci Holland, who will front The Console, a show dedicated to music in video gaming, on Saturdays at 5pm. Pianist and composer, Alexis Ffrench, will present Music in Motion, a show set to take listeners on a journey into his musical influences, from neo-classical and ‘the piano chill zone’ to rebel composers. Listeners can expect everything from Chopin to Shostakovich and Beach Boys to Beastie Boys as he looks at the relationship between classical and contemporary styles. Scala Radio features a broad and topical variety of music, including familiar masters from Mozart and Holst to surprising new works from living composers such as Karl Jenkins, Rebecca Dale and Thom Yorke. The station will also feature topical shows covering the influence of classical music in gaming, mindfulness and special guest weekly round ups. Scala Radio is available on national DAB digital radio, online, via smart speakers and via mobile apps. Further information on how to listen can be found at www.scalaradio.co.uk. Give the gift of digital radio this Christmas!